Among the many alternative energy technologies being developed at the moment, fuel cells powered by hydrogen are among the most interesting and potentially useful. Even though they haven’t reached full commercialization yet, hydrogen fuel cells could be a major feature in the electrical landscape of the future. Here’s what you need to know about hydrogen fuel cells and the applications that may one day be used. How Do Hydrogen Fuel Cells Produce Electricity? Fuel cells produce power by stripping hydrogen atoms of the electrons that normally surround their nuclei. When a hydrogen atom enters a fuel cell, it is chemically ionized through the removal of its normal one electron. This process takes place at the cell anode, where hydrogen is introduced. At the cell’s cathode, oxygen atoms are introduced into the reaction. Ionized hydrogen atoms are combined with oxygen atoms to form water molecules, which are the byproduct of hydrogen fuel cells. The electrons that are stripped from the hydrogen atoms, meanwhile, are left as a free flow of electrical current. It is worth noting that there are many different types of fuel cells that can be used to generate electricity, not all of which use hydrogen as their fuel. Direct methanol fuel cells, for instance, use methanol as the source of their electrical current. The three most common types of hydrogen fuel cells are proton exchange, alkaline, and phosphoric acid cells. Fuel cells have many potential applications, but the one that is probably best-known is as a power source for vehicles. Hydrogen-powered cars use fuel cells to power electric motors that turn the wheels and provide propulsion. Hydrogen fuel cell vehicles are functionally very similar to more familiar battery-powered electric vehicles. The major difference is that hydrogen fuel cell cars don’t need to be plugged in for long periods of time to charge since they are powered by an onboard fuel source rather than a battery. Fuel cells are also being explored as a power source for portable electronics. Although most fuel cell applications involve small-scale uses like the ones mentioned above, the technology has also been proposed for use as a supplement to power grids. Experts believe that fuel cells could be used to provide backup power during outages, making them a good choice for distributed power. The most obvious advantage of hydrogen fuel cells is that they produce no toxic or environmentally dangerous exhaust, making them excellent green technology. They also run on the single most common element in the universe, meaning that the fuel supply for hydrogen cells is effectively limitless. On a practical level for the consumer, hydrogen fuel cells produce no noise and do not degrade over time. The noiseless aspect of hydrogen fuel cell technology is especially important for its application in powering electric cars. At the same time, this technology also comes with its drawbacks. Cost is a major impediment for the implementation of fuel cell technology, as the cells themselves are very expensive to manufacture. Hydrogen fuel cells are also very sensitive to high temperatures, making them unsuitable for some applications. Hydrogen fuel cells have already been successfully implemented in commercially available automobiles. The Toyota Mirai, for instance, is a vehicle powered by hydrogen fuel cells that can be purchased on the consumer vehicle market. Hydrogen fueling stations are still fairly hard to come by, but they are becoming more common. The state of California, for example, is currently home to 33 hydrogen stations. On the grid level, relatively few hydrogen fuel cell projects are underway. One project that does have interesting potential, though, is a plan by UK gas company SSE to implement hydrogen fuel cells for power generation in Aberdeenshire. The project is intended to test the grid-level potential of hydrogen power, and it will likely yield valuable information for future projects of the same sort. 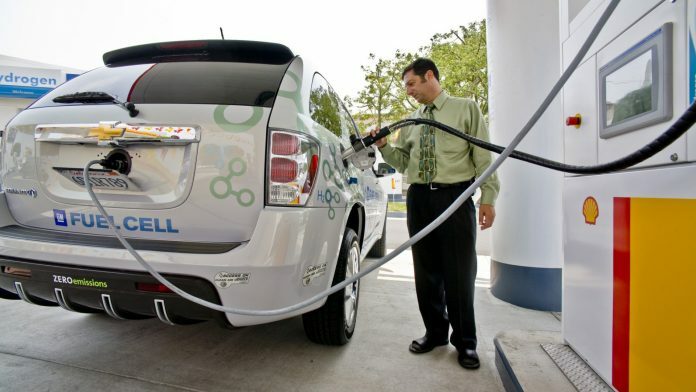 Overall, hydrogen fuel cell technology is extremely promising but underdeveloped. As the technology is improved and cell costs are brought down, though, this technology will likely provide consumers with a reliable source of green energy for everything from cars to homes. By backing up the power grid during outages, hydrogen fuel cells can also help consumers avoid prolonged outages and ultimately make them less dependent on centralized power generation.